The Sentierino is an urban communication initiative: a trail through the city centre accompanied by stories about the historical figures who – over the course of 1000 years of history – have been instrumental in the transformation of the area from a meadow where the city fair was held to the location of modern-day Bergamo’s Centro Piacentiniano. The fulcrum of the area’s development is the Sentierone, which started out as a ‘sentierino’ or ‘little path’. To understand the area’s history we need to start from upper Bergamo. The city of Bergamo is like a tree growing on a rock, with its roots reaching down in search of the earth. These roots, extending out through the city walls, are Bergamo’s historic borghi, which grew up along the roads leading to Milan and Venice. In the space between the two borghi stood the meadow of Saint Alexander. Here, during the last week of August and the first week of September, the city fair was held, attracting thousands of people from all over Italy and Europe. During the rest of the year, the area returned to being just a simple meadow, crossed by a small path. When, at the end of the 1500s, the city on top of the rock was enclosed by the Venetian walls, the ‘vital sap’ no longer flowed down from the hill to the borghi, but instead began to circulate between the borghi themselves. A bond began to emerge and that small path – the sentierino – became the Sentierone, the spinal column of the modern city. Between 1640 and 1740, the Sentierone was plotted out, planted with trees, widened, and paved over. In 1837, the Austrians built the large road which, leading down from the city walls to Porta Nuova, intersects with the Sentierone, leading to the birth of the new city centre. Here, between 1922 and 1927, the Centro Piacentiniano was built. Where once there was a meadow, there now stands a city. But it is still possible today to retrace the old Sentierino – to uncover its genius loci, the ancient roots, the fabric of the city – in the line of trees running along the Sentierone. In the tree beds along the Sentierone marked with the white perimeter rails, as well as in the Cloister of Santa Marta and Piazza Dante, the history, secrets and spirit of the place will be told with the help of a series of stories about figures from across the ages. The Sentierone; stories 1-12, theme: the city centre as meeting place. Cloister of Saint Marta; stories 13-21; theme: the administrative centre. Piazza Dante; stories 22-28; theme: the historical roots of the city’s commercial and financial district. The basic idea behind this urban architecture and communication initiative is to tell the story of the place and at the same time rediscover its native flora. 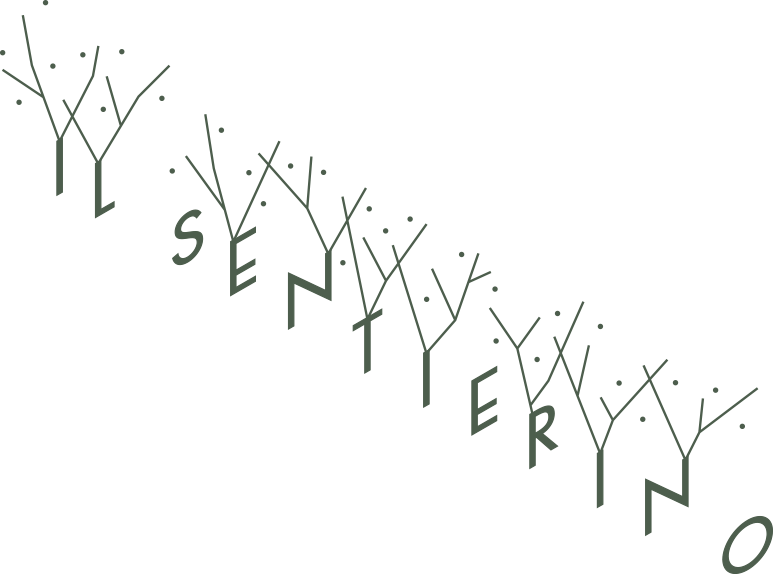 Thus, the narrative trail, with its tales of the people who have made the Sentierone what it is today, will be accompanied by a botanical display, which will also be used for the presentation of the stories. In selecting the plant species to be used in the botanical trail, a balance was sought between, on the one hand, qualitative considerations concerning the urban space and the need to achieve an effective visual impact all year round and, on the other, the desire to reference the native flora. To achieve this balance, ornamental plant species typically used in garden composition have been combined with native plants chosen to recall the typical natural landscapes of the Bergamo area. The idea behind the ‘Sentierino’ initiative is to encourage people to visit and get to know the centre of modern-day Bergamo – its history, its vitality, the complementarity of its functions and the simultaneity of its transformations. As a result of the presence of the fair, the area witnessed the emergence of Bergamo’s first identity as a city of commerce and trade. But in parallel, it also saw the development of the city of entertainment, with its theatres, shows and cafes. Later, in the modern era, redevelopment initiatives saw the area become an administrative, financial, and service centre. The Sentierino is a walk in the company of a series of historical figures, designed to help visitors gain a better understanding and appreciation of the area’s history and to reinforce a sense of belonging in a new generation of citizens.